The reactions I got in the last post were insane! I am so thankful for your support. I can't do what I do if no one appreciates my love for fashion. I know how body image can affect, or even destroys confidence in just one second. And I know as long as I talk about this topic with honesty, people are going to feel related. Anyway, back to today's topic. Monthly Favorites & Inspirations posts are still alive! I have discovered a lot of goodies to share with you, and of course, more things about fashion! Let's just be honest here, knockoffs are rude and disrespectful. I hate knockoffs, but that doesn't mean I don't buy them. I hate those you can name out loud of the brand it copied because these knockoffs are exactly the same as the genuine one. But it doesn't really matter that fast fashion stores copy and redesign the luxurious products. After all, this is how fast fashion business works. Famous Instagram account @diet_prada is here to spill all the tea. He is the fashion police, exposing all these advertisements that look exactly the same. Creating all the memes that would make you scream "Whoaaaat? ", @diet_prada doesn't afraid of posting photos that directly accuse luxury brands stealing designs from others. 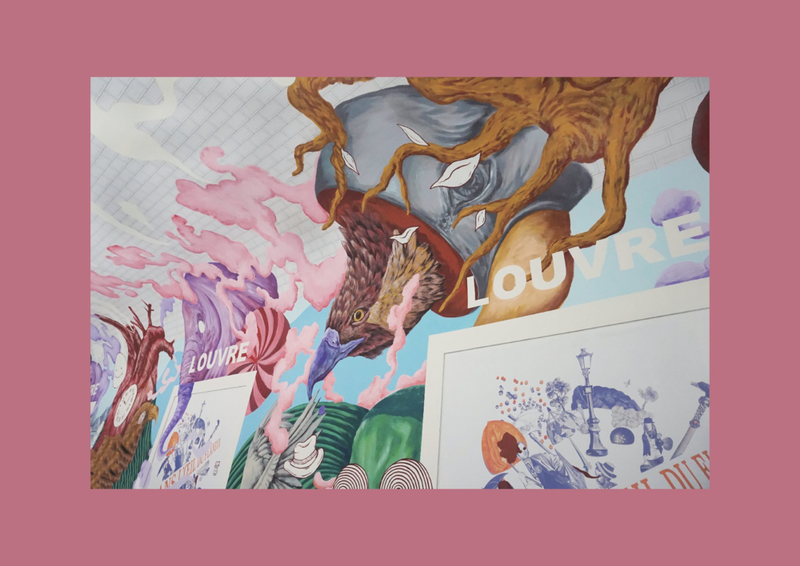 This October, "Wanderland" showed us the dreamy side of France, with a little touch of Hermes. Filled with playful decorations, the exhibition surely brought us the new vision of Hermes. No wonder it caused a little sensation in Taipei, which people lined up for hours before the exhibition opened. I have to seize the opportunity and ended up visiting there twice. I didn't get super overwhelmed by all these decorations like others did (which was taking meaningless selfies without knowing what the exhibition was really about) I was busy questioning "Why they put this here? How about this? Any stories?" Let me tell you, you won't miss a bit if you paid attention to every detail in "Wanderland". No doubt that a well-organized fashion exhibition not only makes the audience to enjoy every section,, also allows them to know more about the brand. I love this exhibition, unfortunately, I didn't find out more about Hermes. After all, Gucci was the best. What's a must-have product in autumn? It would definitely be a warm-toned eyeshadow palette. 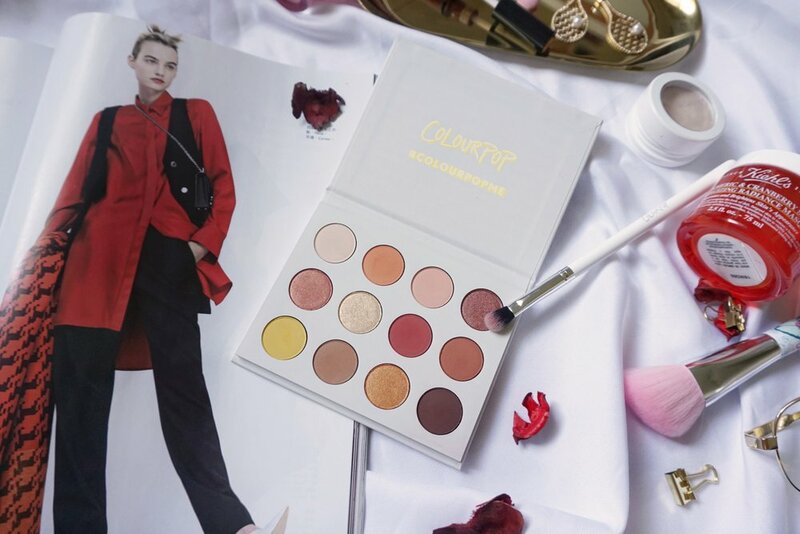 With all the wide range choices of products, the "Yes Please" eyeshadow palette by Colourpop is the one you can rock within budget. Needless to say, Colourpop does the best eyeshadows which recommended by all the bloggers/ YouTubers. I've been eyeing this sold-out-in-a-second palette for so long and decided to get my hand on it this November. The texture is as smooth as everyone said and I could think of hundreds of color combinations using the colors in this palette. Plus, how could you resist when it's only $16? Thank you for tuning in! Your support is and will always be the reason for making Kinda Kai come better in quality ;) I will see you in the next one!